Summary: Truth is, you’re not going to find a laptop with a 13.3” screen and such a small footprint anywhere else, and it’s just as light and compact as it is powerful and attractive. This particular version tested here handles games better than most other ultraportables, but if that's not something you're interested in, there are other configurations that sell for less and offer increased battery life. 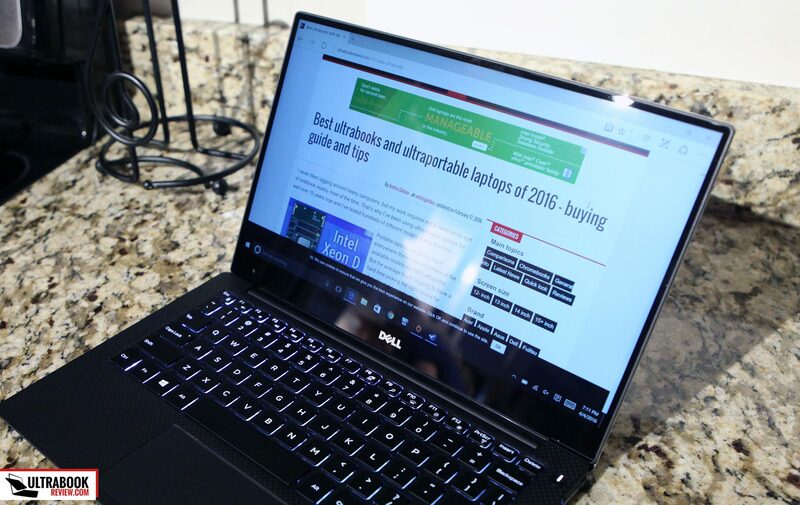 About a year ago, I got the opportunity to try out Dell’s Broadwell XPS 13. In fact, Andrei also got it and still uses it today. I really liked it, but the unit I received had a few bugs in it, including a sluggish trackpad and poor screen brightness. I ended up returning it and getting something else at the time. 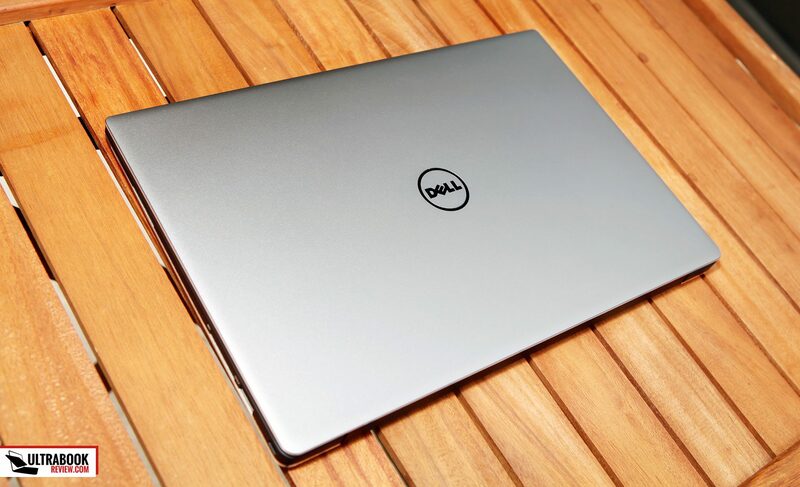 Fast forward to today and I noticed Dell now offer a unit with the Intel Skylake i7-6560U CPU and Iris HD graphics. After reading that some of the bugs that plagues the previous XPS 13 versions were potentially fixed, I just couldn’t resist trying out this new model with the new Intel CPU. After a good week of use I think I formed a pretty good opinion of the machine. Since Andrei already wrote about the Broadwell version, I’ll try to stick to the things that have changed. Really, the design is pretty much the same as last year. It’s the same aluminum body with a carbon fiber palm rest. The build quality is solid and well constructed. The only thing that’s slightly different on the 9350 version is the connectivity on the sides. 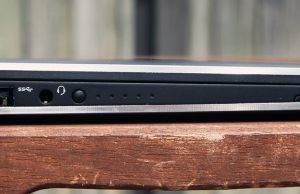 On the right side, there is a single USB 3.0 port, a 3-in-1 card reader and a Noble lock. On the left side, you have a power connector, Thunderbolt 3 USB type-C, USB 3.0 and a headphone/mic combo. There is also the same battery indicator button and lights, like on the last model. Speaking of the USB-C, this port is also Thunderbolt 3 capable. What’s nice about this is you’ll be able achieve 40Gbps transfer speeds, allowing the potential for an external GPU to be used, if desired. 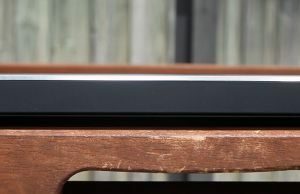 There are currently none on the open market as of yet, but the Razer Core is coming out soon, and they have mentioned that it will be openly compatible with laptops that are Thunderbolt 3 capable. I’ve preordered a Razer Core already, so if the timing is right, I might be able to get a hands on test of this. Stay tuned. Update: We already tested the Razer Core here, if you’re interested. 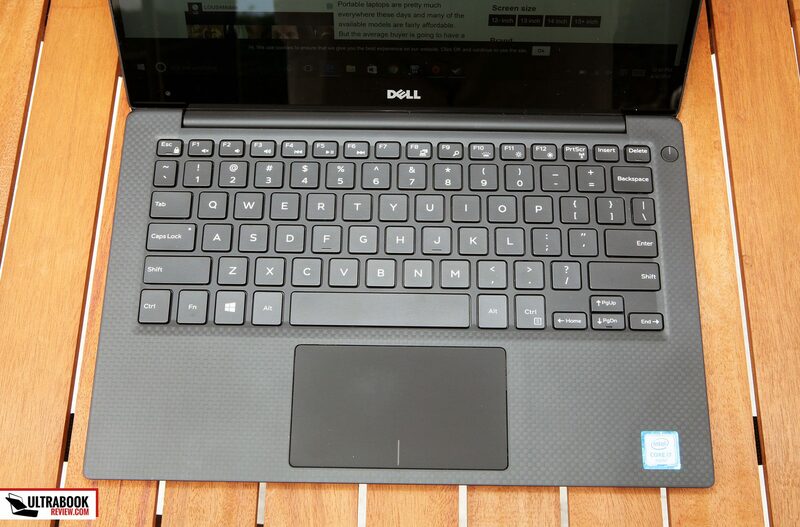 Dell did good to keep the design the same. Why change something that’s already great, right? I so need to point out some discrepancies with Dell’s specs though. They report a weight of 2.7 lbs but mine actually weighs 2.9 lbs. Also, the thickness is VERY deceiving, reported at .33-.6″. In actuality it measures .68″ in the middle backside (.8″ if you include the rubber foot). All that said, it’s a great design to have a 13″ screen in a laptop that has the footprint of an 11″ model. Also like last year, the intake vents are on the bottom and the exhaust comes up at the screen. The webcam is still oddly placed at the lower left hand side of the screen, since there’s no room with such a small bezel. And there’s also the same annoying indicator lights as last year: the always on power button light, the always on power cord light and the long charging light smack in the middle of the front lip. Overall, I’m pretty pleased with the laptop’s design. Other than the lights that won’t turn off, there’s little I would change about it. A future improvement I’d like to see would be to tweak the hinge to it can be opened one-handed. But definitely not at the expense of screen wobble from touching the touchscreen. 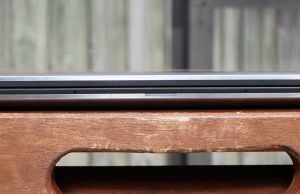 Andrei’s update: After using the XPS 13 for more than a year, I can say this laptop ages very well. My unit still looks like new, with no scratches on the metallic surfaces. That’s if I wipe clean the soft interior and the keyboard, which both show off fingerprints and smudges. 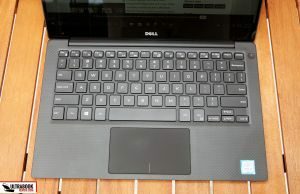 But overall Dell did a really good job here with their choice in materials, finishing and overall build quality. The keyboard on the XPS 13 is pretty good. The travel is pretty much what you would expect from an Ultrabook this size. I’m able to type on it pretty decently and quickly got used to the key placement and spacing. Again, this is the same keyboard as last year, so nothing new here. On a typing test I scored a 50 right off the bat, which is pretty much my average typing speed. The feedback on the keys is pretty decent, measuring at about 60 grams to depress a key. I think the spacing initially caused me to make more typos at first, but I notice I’m doing a lot better while typing this review. 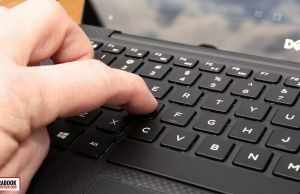 The keyboard is backlit with a white color. 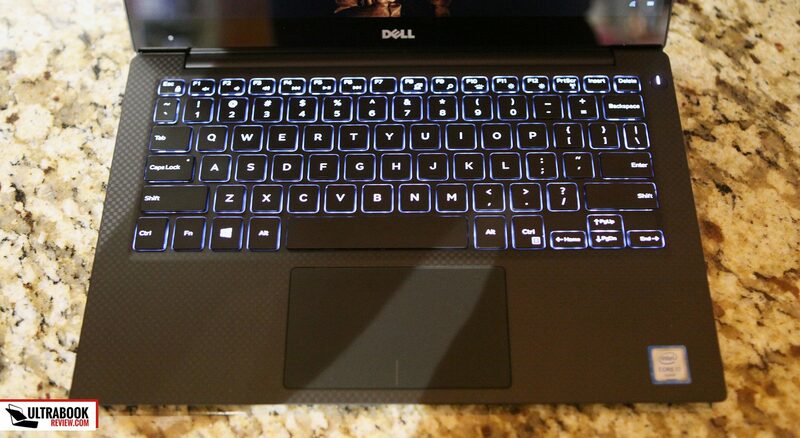 There are three levels of backlighting and an off setting, controlled with the F10 key. The lighting is pretty uniform and you can only see the light bleed when looking at the extreme angles. No complaints there. As for the trackpad, it’s also the same as last year. It’s a glass trackpad with a nice smooth finish. For the most part, the mouse pointer tracked properly and it felt very natural to use. Multi-touch gestures registered properly but I did struggle a bit with two finger scrolling. Occasionally it would get jumpy and scroll up a little after scrolling down. It also accidentally registered pinch to zoom on a couple scrolls. It’s probably a sensitivity setting but unfortunately the drivers don’t include one. The trackpad is neither Elan or Synaptics in this one. It’s actually a “Microsoft Precision Touchpad” so the settings are located within Windows settings and they are pretty limited and lack the customization that Synaptics and Elan typically offer. A HUGE improvement from last year, though, is the trackpad’s ability to scroll in Chrome. In fact, this was pretty much the deciding factor for my return last year. Before it was very choppy and you had to disable pinch to zoom in order to scroll smoothly. But now it’s much better right from the start. I’m not sure if it was Chrome or a driver update that solved it, but I’m much happier with it now. This laptop comes with a stellar screen. The 13.3″ Sharp InfinityEdge panel in this model has a max resolution of 3200 x 1800 px. Viewing angles look really sharp from any angle and there is zero backlight bleed on the edges, plus, you just gotta love that small bezel! I measured the color accuracy of the panel with a Spyder4Pro. The results were very good, with sRGB – 99%, NTSC – 72% and aRGB – 77%. This is pretty much the norm now for IPS-like screens, with the exception of the wide gamut versions which Dell doesn’t offer for this model unfortunately. The maximum brightness I measured was a whopping 420 nits. I also measured the brightness distribution, which can be seen in the table below. Don’t get too excited though because those levels only come when measuring a completely white screen. 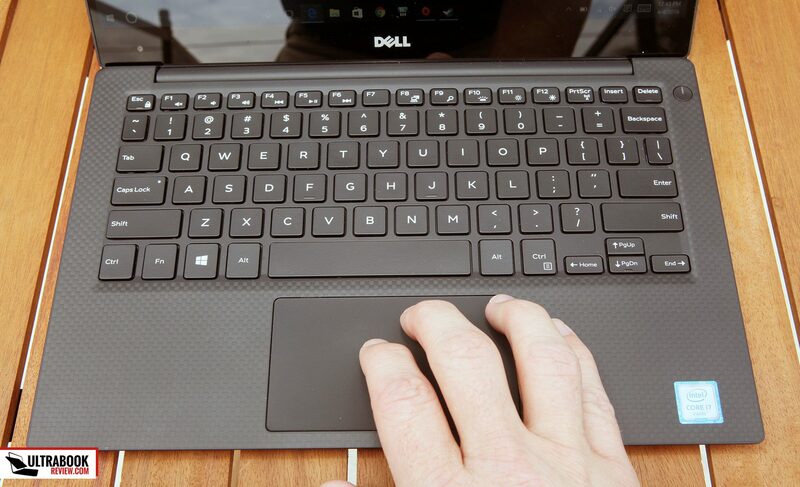 The truth is, Dell utilizes a technology that makes the brightness fluctuate depending on the content of the screen. So if the screen is half black, and/or the whites shift from black, the brightness is sluggish and is usually lower. I’ve seen this feature in some laptop screens before but it’s usually only while on battery and it can be turned off in Intel’s settings by going to the power settings and clicking the battery tab. Unfortunately, that setting doesn’t exist on this one and it’s always on. There is a fix available to disable this but it involves flashing your bios and will reduce your battery life. I’m also under the impression it’s unofficial, so take caution. So yes, there it is – a screen with 400 nits of brightness, but in all actuality it’s pretty dim unless the screen is mostly white. 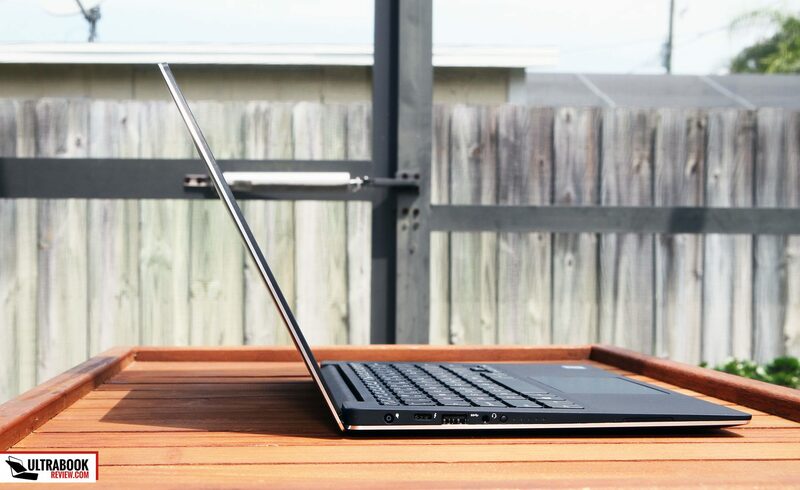 Outdoors, the brightness is nowhere near high enough to fight the glare, but if you don’t spend a lot of time outside with your laptop, you should be perfectly fine with it though. The contrast ratio was measured at roughly 650:1 in most brightness levels, also a pretty typical measurement for laptops these days. As you can see in my chart, the maximum white was only 250 nits because of the issue above. 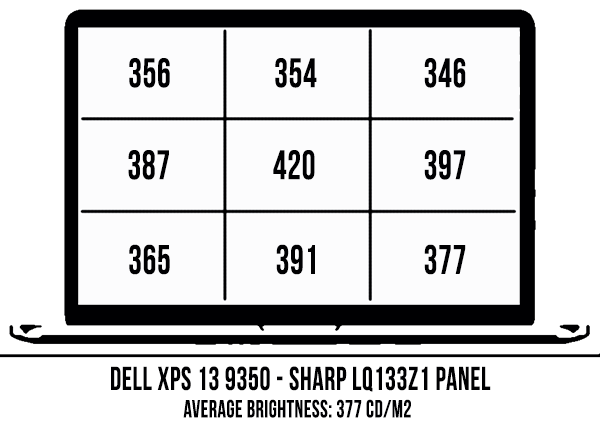 If you want to look up more details on the panel itself, the panel model I have is Sharp LQ133Z1. The screen is also a touchscreen for my model, so obviously it’s glossy. I really didn’t notice reflections a whole lot since the panel is pretty close to the glass. Like I said before, the hinge is pretty good so the screen stays in place pretty nicely when touching the screen. There is also has a matte 1080p display option, but I don’t think they offer it with the Iris models. Overall I’m happy with the screen, even with the variable brightness it has. There is that bios fix out there if it really bothers you. 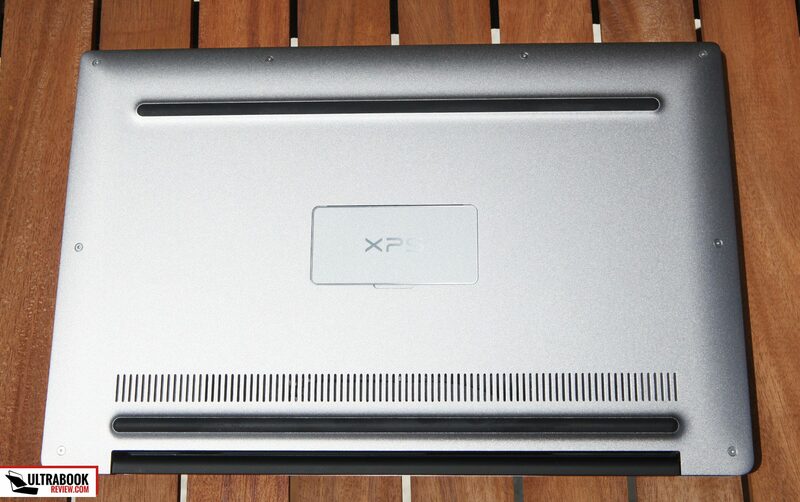 This model of the XPS 13 comes with an Intel Core i7-6560U processor and 8GB of LPDDR3 ram. 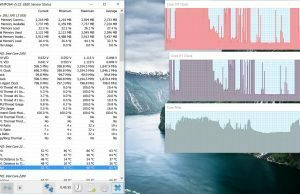 This is overall one of the best processors you can get for an Ultrabook without crushing your dreams of having decent battery life. 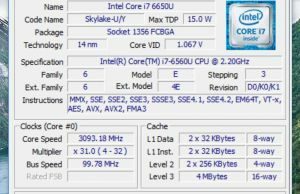 As stated before, this processor includes Intel Iris 540 graphics, which is a significant jump from the HD 520 graphics in the “normal” Skylake-U processors. 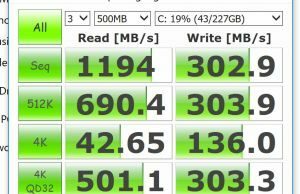 The SSD in this laptop is PCI-e NVMe based. 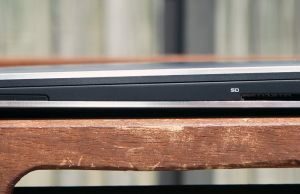 It’s a Samsung PM951 stick, which is pretty much the same model SSD I’ve been seeing in so many other laptops lately. 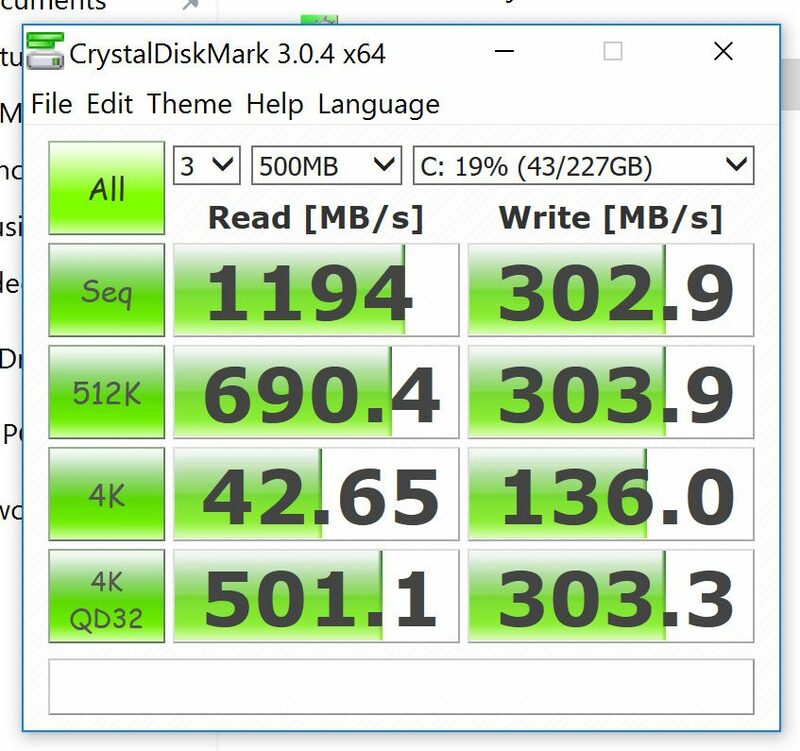 The speeds are superior to M.2 SATA drives in some ways, but the write speeds are lacking in the smaller sized drives such as this one (they are much better on the 512 GB version). Still, I’d hardly call this drive slow. 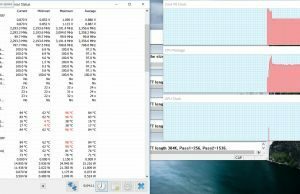 CineBench R15: OpenGL 46.06 fps, CPU 301 pts, CPU Single Core 125 pts. 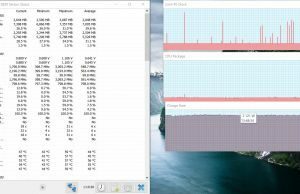 Important: You should also read Doug’s article on how you can actually improve graphics performance by a fair amount and lower temperatures on this laptop. These aside, Furmark throttled due to the TDP limit within seconds and stabilizes with the CPU clock at 1Ghz and the GPU clock at 600Mhz. 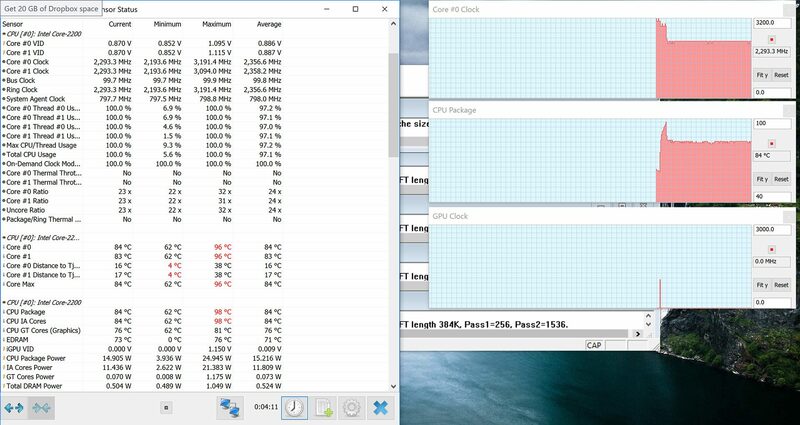 Temps stabilize at 78C. 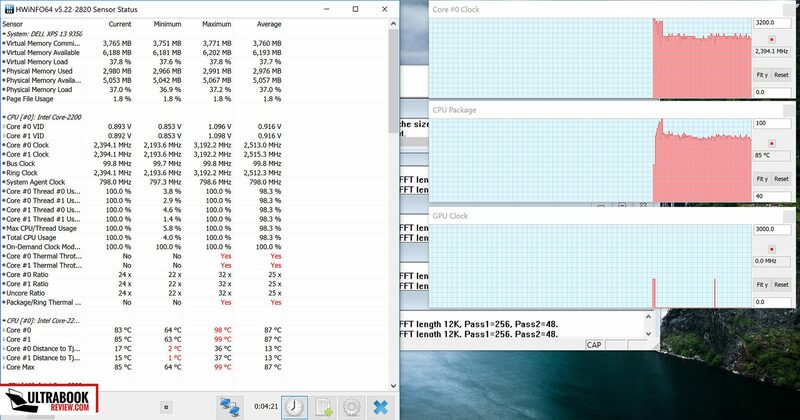 With Prime95, on a large FTF, the CPU throttles due to TDP after about 15 seconds and stabilized at 2.3GHz and CPU temps averaged 84C, although there was a 96C spike at the beginning before the fans caught up. 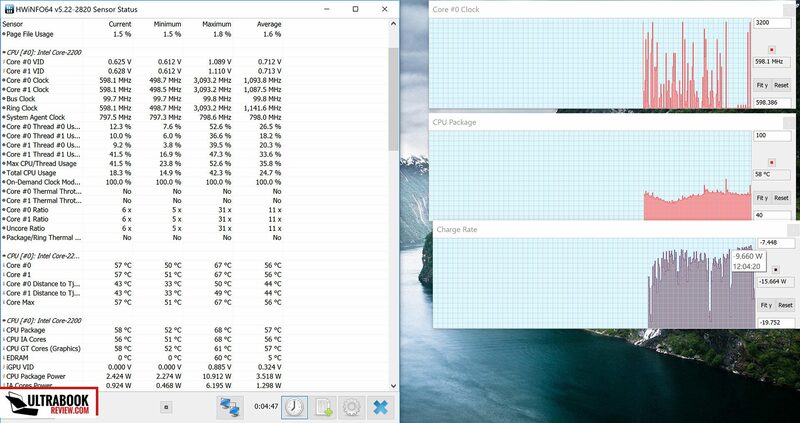 On a small FTF I noticed pretty much the same behavior as with large FTF except the CPU stabilized at 2.4 GHz and the temps averaged around 87C. The temperature spike was 99C in this case – yikes! 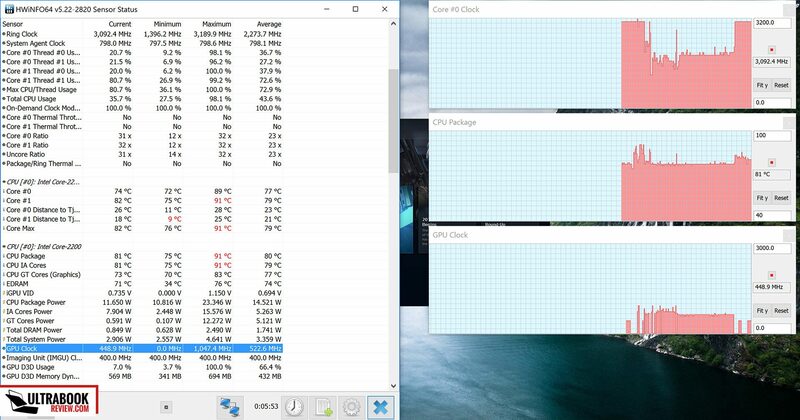 The CPU reached temperatures as high as 92C while gaming with an average of 82C. Throttling aside, this laptop does pretty darn good at low to medium gaming. Certainly much better than the Core i7-6500U variants. 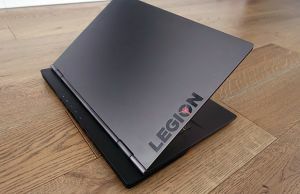 If you’re looking for a laptop that can handle some light gaming, but don’t want to add thickness and have a dedicated CPU, this might be the logical choice for you. The fan on this laptop is mostly quiet. I really only noticed it at all when I was in a completely silent room with the air conditioning off. 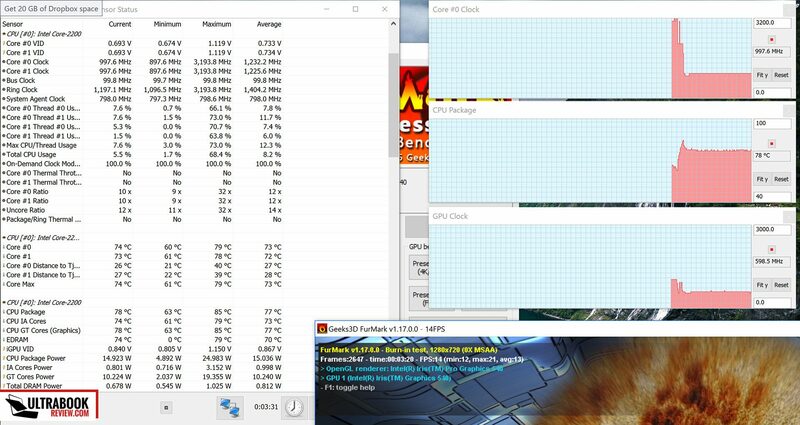 Overall the fan does a pretty decent job at removing the heat, although I think it could be a little more aggressive to avoid those 90+C spikes I recorded. I took noise readings at my ear and at the fan itself while playing a game. The ambient reading was 25dB. With the fan on as high as I’ve witnessed, the sound reading was around 30dB. At the fan itself, I got a reading of 40dB. Pretty quiet if you ask me. On battery, I had some pretty irritating coil whine, unfortunately. It only happened with certain graphics intensive programs with the laptop under load, but it was definitely there and reproducible. I actually had this with my unit last year but I chalked it off to fan noise. Little did I know this is a wide spread problem with many complaints. I wish I could say that replacing it would help, but most online say it hasn’t from them. Like the fan noise, the coil whine is quiet and won’t be noticed if there is any background noise at all. Moving on to heat, I hate to say it but this thing gets hot. 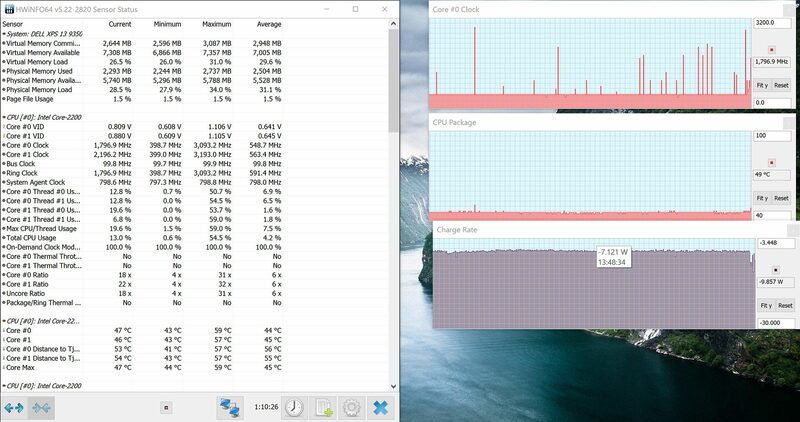 Under normal loads, it’s a little warmer than normal. But this is probably to be expected considering it’s an i7 in such a thin, metallic chassis. 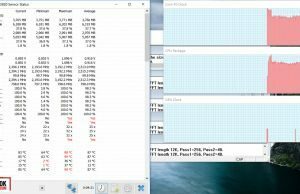 Without more aggressive cooling, the heat will build up, and Dell chose to go with less noise over an overall cooler unit. This is OK with me, but some might find it a little much. Where things get bad though is with the gaming loads. I recorded a hotspot of 50C on the upper center section of the underbelly. Being in the middle, it wasn’t in direct contact with my leg but I certainly felt it on the sides. What this means is you probably won’t be too comfortable gaming in shorts for long periods – not something you probably do anyways. A cooling pad or even a dinner tray would solve that problem. 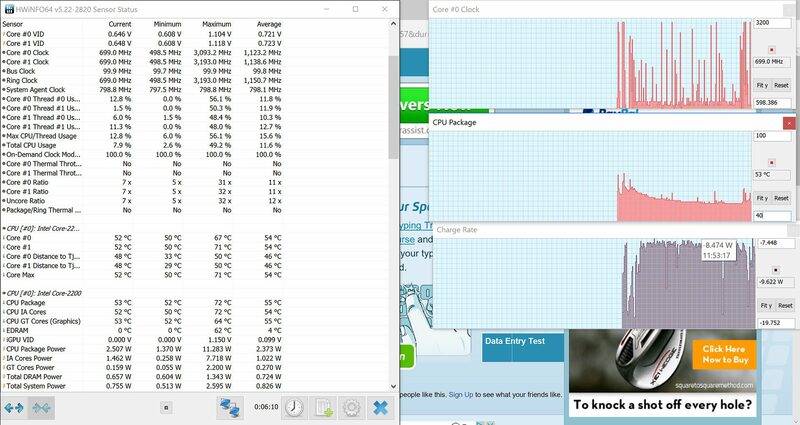 Another potential improvement would be to repaste the CPU. Doug actually bought the same model as I did and wrote an article about repasting the CPU. Not only did it help his temps but also improved his benchmark scores. Definitely worth the read! The WiFi card on this laptop is not great, but not bad either. The model is Dell Wireless 1820a, which I’ve honestly never used before. 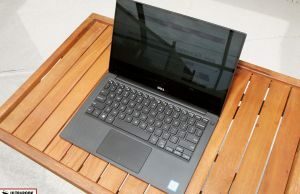 The good news is the connection is very stable, unlike the wireless card in the XPS 15, which has been known to drop connection. The range of the antenna, though, is just OK. From 25 feet and 1 wall from my router, I got 44Mbps. From 50 ft and 2 walls that connection got as low as 23Mbps. There’s not much to complain about the sound on this laptop. The speakers point out towards the sides, so there’s no muffling of the sound on your lap. It’s not the greatest sound quality, but it’s pretty darned good for such a thin laptop. Audiophiles won’t be impressed, but it’s certainly good enough for the average person to watch movies and listen to music. At default settings, the max sound level reaches 70dB. Switching it over to gaming mode, the sound reaches 80dB. I detected no distortion at max volume either. As for the bass, it’s obviously not very loud, but I was able to distinguish frequencies as low as 35 Hz. 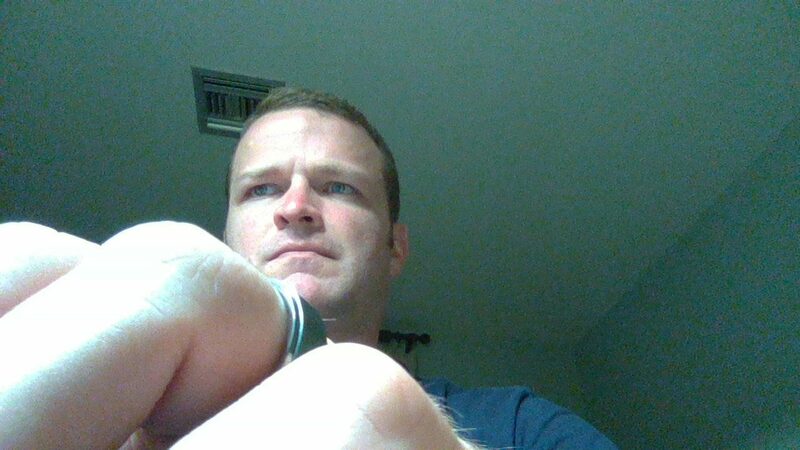 The webcam in the XPS 13 is the exact same one as last year and probably one of the most ridiculous parts of the machine. It works but it’s nothing you should expect to love. First of all, it’s a 720p sensor so the shots are low res and grainy unless in an extremely bright room. It’s also in the corner of the screen, since there’s no room at the top bezel. So you get a great look up your nostrils when using the screen at normal angles. Believe it or not, the picture I took is me looking directly at the center of the screen while typing this and my left hand on the home keys. Brutal! My battery test consists of using the stock “Power Saver” power profile, 30% brightness (75 nits), WiFi off, Bluetooth off, and running a 720p movie in a continuous loop at full screen with the volume muted. I start the clock when it’s unplugged and stop it when the unit performs a self- shutdown. The Dell XPS 13 lasted 8 hours and 15 minutes before shutting down. In the following tests we’ve set the screen’s brightness at 50%, which is about 130 nits. Also the keyboard backlighting was set to minimal. 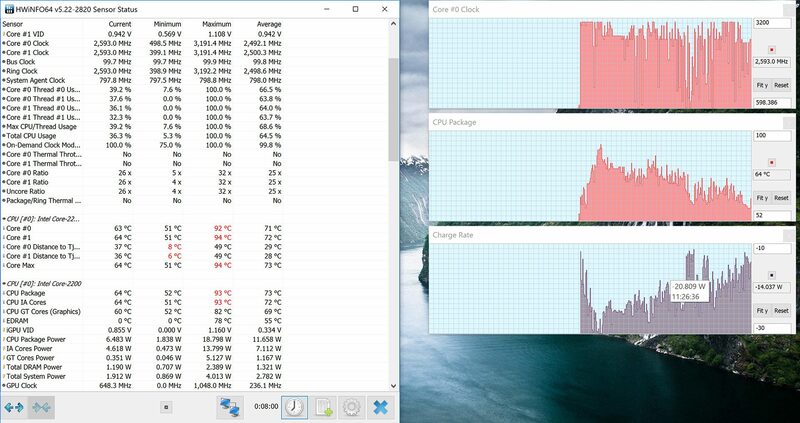 24 W (~2 h 20 min of use) – gaming in 1080p, Balanced Mode, screen at 80%, Wi-Fi ON. These results are pretty typical considering the 56 Wh battery Dell decided to use. 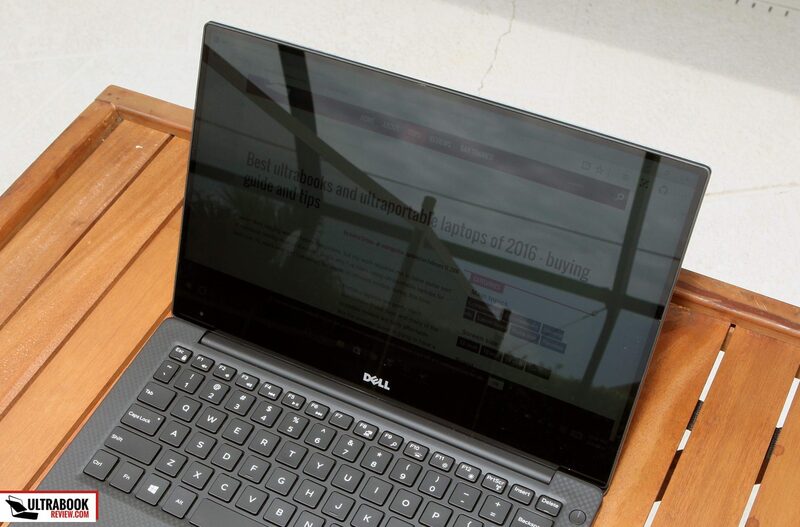 Dell embellishes just a tiny bit saying there is 18 hour battery life (seriously Dell?). Considering there’s a bright QHD+ screen and a powerful CPU, this is about what you can expect from such a small package. Also included in the box is a pretty small 45W charger. It’s a little bigger than the one on the Razer Blade Stealth but it’s perfectly compact enough. I don’t quite understand why they didn’t just use the USB-C strickly for charging, because that port is perfectly capable. In fact, my Razer Blade Stealth charger worked perfectly with the XPS 13. The unit I received is pretty much the top model available currently. The list price is $1599, but I’ve been seeing sales as low as $1350 at the time of this post. 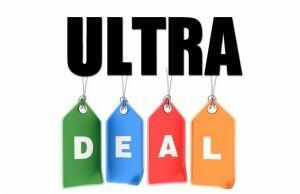 It’s going to vary in the future, so just check out the links for up-to-date prices at the time you’re reading this article. The version I have is available on both Amazon and Newegg.There is also a gold version in the wild now, if that’s something of interest to you. If you like what you see and want to save a little, you can also opt for a standard i5 or i7 processor. Some of these models have less RAM and some even have a FHD non-touch screen. There are even the Broadwell models still available. You can find all of these by following this link. 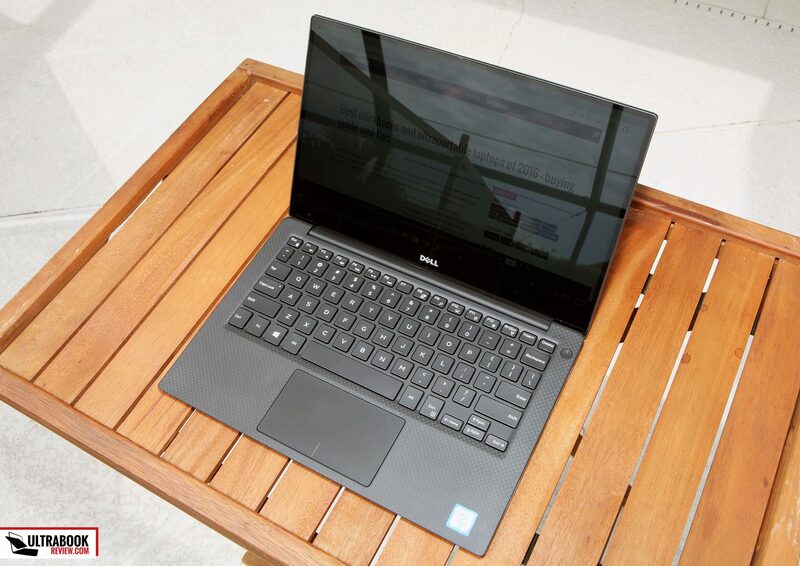 I have to say, my second go at the XPS 13 was a lot better than the first time around. Last year, the drivers were so buggy that my screen was very dim and my trackpad could not even scroll properly in Chrome at all. I still think there is some improvement to be made with the trackpad, but this laptop has come a long way in the past year, and I’m a lot more pleased now. Some of its strongest points are the build quality, portability and the screen quality. Honestly, I’d be willing to overlook some of the weak points, such as the trackpad, weird brightness fluctuations and the indicator lights, but they are there nonetheless. Truth is, you’re not going to find a laptop with a 13.3” screen and such a small footprint anywhere else. This is the type of laptop you’ll want to have on the airplane, where space is limited. It’s just as light and compact as it is powerful and attractive. If you’re in need of something this compact and also want to do some light gaming, this is the model for you. 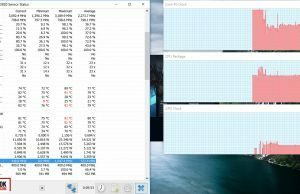 Update: Andrei’s opinion on the XPS 9350 is also available in this post, if you’re interested. If you don’t care about games and would rather get longer battery life, than get the Core i7-6500U configuration, or better yet, the Core i5-6200U models with the FHD matte screen. Just make sure to pick at least 8 GB of RAM on your unit, since the memory cannot be upgraded. That wraps up my review. I should have the laptop in my hands for about another week, so if you have any immediate questions or suggestions of things I should look at, please feel free to reply in the comments section below. Do you have any coil whine? Yes, see the Noise and heat section. I described it there. Between this, the 13 with an i5 and the RBS would you have any recommendations on which one you would lean towards? Tough one. Depends on what’s more important to you. 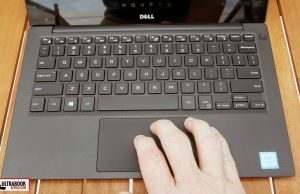 I’d pick the XPS 13 keyboard over the RBS. But the RBS is thinner and has an i7 for a decent price. Really the performance differences are minor unless you plan on pushing it that hard all the time. It’ll all come down to which one “looks” better to you. You can’t go wrong with either one. For me? I’d lean towards the RBS. I can deal with the shallow keystrokes, there was less coil whine and it’s thinner. But the initial RBS launch had a lot of defects out there so make sure you give it a good check if you go that route. That’s not to say Dell won’t have defects but their exchange policy is miles ahead of Razer’s(in the US at least). Sorry if this doesn’t help out. If you need a more specific comparison, let me know. I have both 6560u and 6500u in my hand now, and I have to return one. I find that the battery life of 6560 is only 5 hours or so, but the 6500 one has like 7.5 hours, both with 40% brightness and wifi-on, simple browsing. Do you think I should return the 6560 one because of its battery life shortcoming? My 6560 one is gold, so this is another bonus point. It depends on if you play games or not. If not, I’d stick with the 6500u and get some battery. 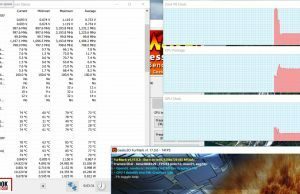 The 6560u is a significant jump in gaming performance though and worth the sacrifice if that’s your thing. If you don’t play games, for sure get the older one. There is no sense in reducing battery life, adding heat and paying more money just to get a little better performance. Just be sure to get enough Ram. 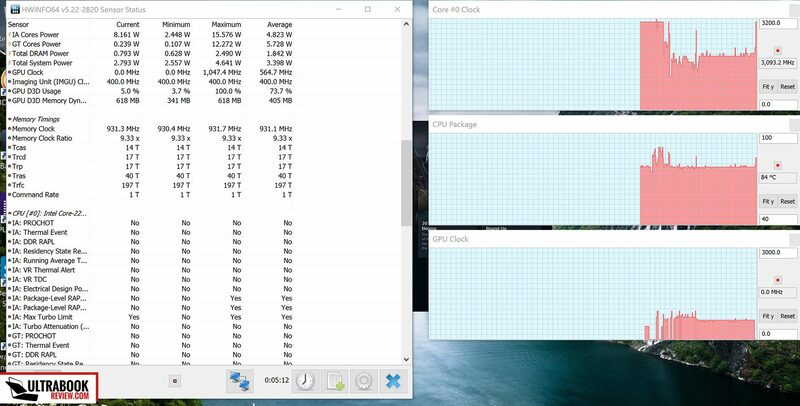 Have you tested the Razer core with the XPS ? I recommend installin a clean version of Windows. 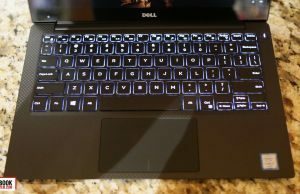 I did so on my XPS 15, and have had a better experience as a result. Hi, I’m deciding between the 9350 equipped with an i5-6200U, 8GB RAM, and 128GB SSD. I want this purchase to be lasting me for the next three years, if not greater. Do you think this buy would be good for at least 3 years if not more? I think both laptops could easily last 3 years. The MacBook pro is in a different league than the xps 13 though and $200 isn’t that much of a difference considering it has a faster processor(depending on your specs). You might be wanting more hard drive space though, so consider that carefully. Thanks for your deep and clear review. Very helpful. I would greatly appreciate your opinion in the following decision: I’m a web programmer, using visual studio express for web open along with the chrome browser in development mode with at least 5 tabs open; sometimes ms word is also open – under this load do you think there would be a significant difference in speed between the 6500u and the 6560u? Probably not. 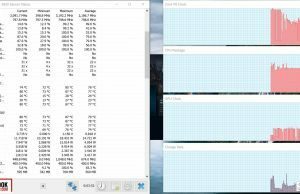 Besides the tiny difference in boost clock speed, there’s not a whole lot of real life difference you would see in those applications. Assuming the 6500u is a significant price break, I’d say go with that. Thank you very much :-) I’ll get the 6500u model. The main difference between these CPUs are the integrated graphics, the older model has Iris 520, while the newer version has Iris 540 graphics. 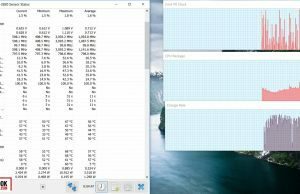 The Iris 540 is almost TWICE as fast as the Iris 520 in 3D / gaming applications, so it depends whether you are planning on doing any light gaming or 3D work on the laptop. No, only programming, perhaps some complicated CSS manipulations but no more than that. My consideration is to have a longer battery life which is more relevant for me. 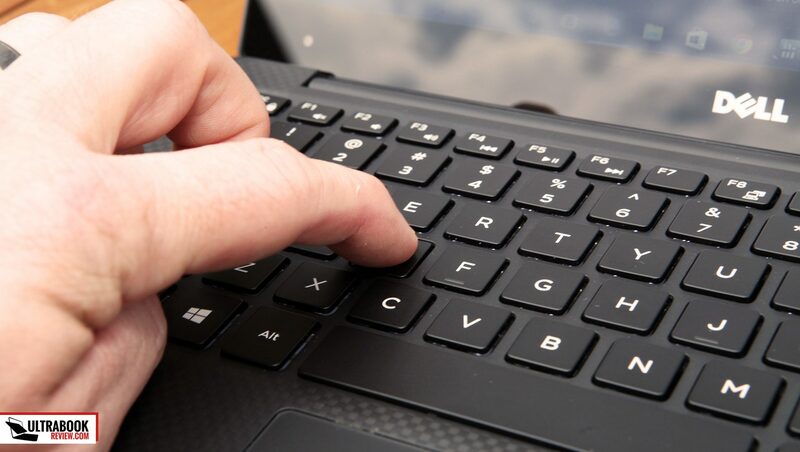 I spent many months trying to get used to the keyboard on the Acer S7. I could never get it right, missing many keystrokes from the short travel. Also the backlit keys had zero contrast and were difficult to read in the dark. The keyboard alone would make me steer clear. The XPS 13 is the better choice. I have the opportunity to buy a rather strange config of this machine: an i7, but without the touchscreen, and Intel HD 520 graphics card. I know this sounds wrong, but I have seen the BIOS and it looks right. Now, I am attracted to the usual i7 config because of the gaming capability (I am a very occasional gamer, playing things like Fallout and The Elderscrolls). 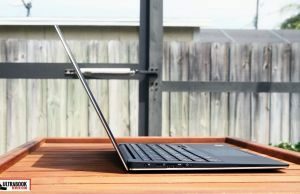 But the seriously diminished battery life on the i7 – which I understand is caused to a large extent by the touchscreen (which, I agree, is pointless on a laptop and which I do not want) – is a concern, because my main priority is to get an ultra-portable, long-life battery work machine. So the idea of an i7 without a touchscreen is attractive, despite the weak graphics card, as long as the battery life will be good. My question is: would you go for this config (which I can get for about $925, refurbed), or would you still opt for the usual i5 (about $1100 new). Thanks in advance for your advice. As long as there’s a warranty, I would totally go for the i7 and save a little money. I have found another unusual variant of this machine, like the poster above. However this time it has the full Iris 540 graphics chip. I am interested in playing some games and I’m not interested in the touchscreen as I think it will significantly affect battery life and performance over an FHD same spec equivalent. The only other options I have is a lower spec i5 core with HD6500 graphics, and the smallest SSD of 128gb or the QHD with the same specs as the FHD I mentioned at the start of this comment. I think I want the i7 FHD model but the price is only $70 less at $1530 USD than the QHD model ($1600 USD). I feel like I’m being fleeced as it being FHD should be several hundred dollars cheaper. I’m in Singapore so I converted the prices to US dollars. Those panels have been out for quite some time and the volume is high, so the panel prices probably aren’t all that different. $70 seems fair especially considering FHD panel is a high quality IPS screen. 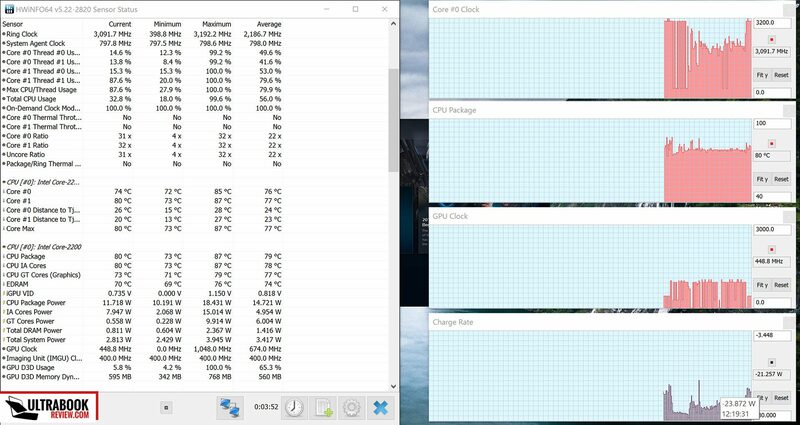 The largest cost difference in the machine is easily the CPU options. I am from South Africa and this laptop was recently released here. 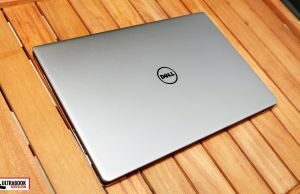 I would like to get the XPS 13 i7 dual core but not sure if it comes with the intel graphics or not. Is there a version where the i7 comes with normal graphics? It has 8GB and 256 SSD. 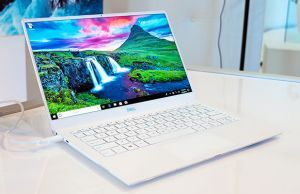 If it’s the COre i7-6560U processor, than it comes with Intel Iris HD 540 graphics, if it’s a Core i7-6500 U processor, it comes with Intel HD 520 Graphics. The former is around 15 to 30% faster in benchmarks and games. 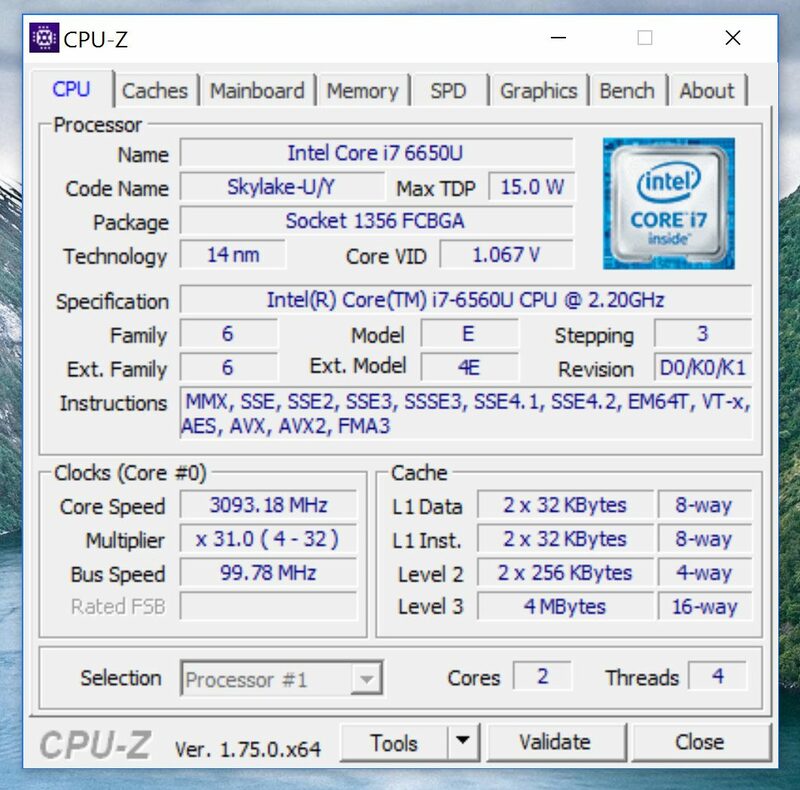 no surprise, Kabylake is not a significant update and the i7-6560U wasn’t the “regular” Core i7 U anyway, so there’s no point in comparing it with the new i5, performance wise. 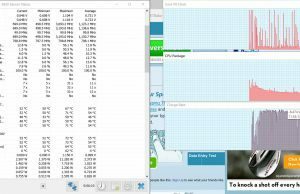 True, but the i5-7200U Kaby Lake is running 10% slower than the same chip in other notebooks (in other notebooks it should be 10% faster than the previous i5-6200U, rather than on par, as in the test XPS 13); the system fan is often running, even without noteworthy CPU load; and the test model also has problems with coil whining. 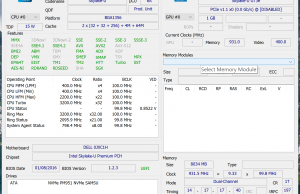 Also The new Intel HD Graphics 620 cannot be utilised to its full potential in the test model, either, and clearly falls behind other devices with the same GPU. 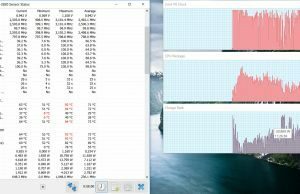 The common theme that is emerging here is that there is an issue, even in the Iris 540 models, of thermal management related throttling in the XPS 13 series. Mine has the Iris 540 graphics too, but with 16GB of RAM on board and a 512 GB M.2 PCIe NVMe. 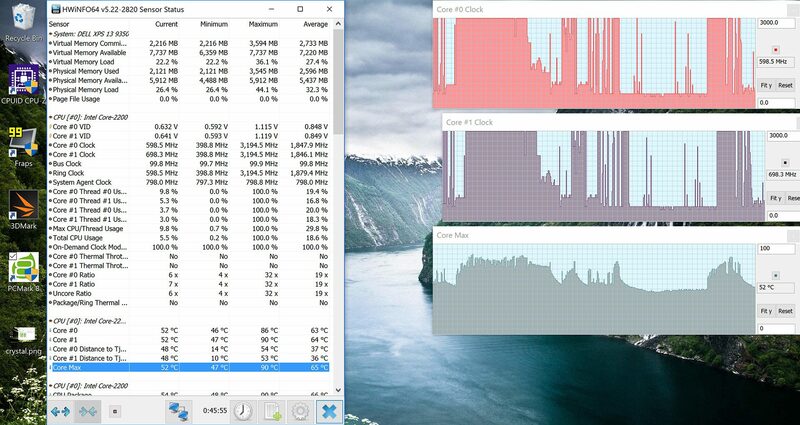 Performance would be identical I expect, the extra RAM would only come into play rendering a video file I imagine. 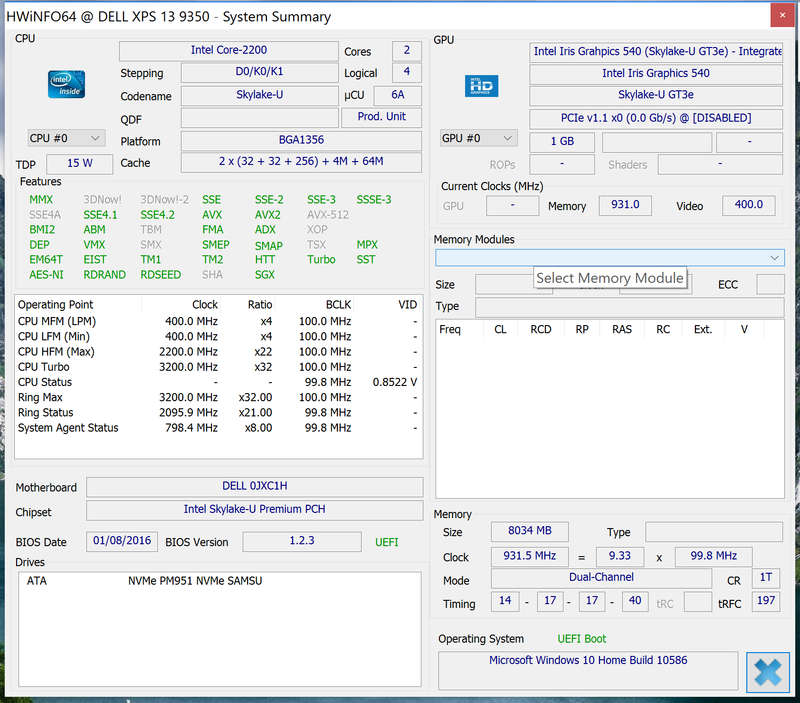 Still, as the RAM is soldered in and not upgrade-able, it is probably worth it? I have got my thermal pads an grease all ready for the thermal upgrades described on your other article. 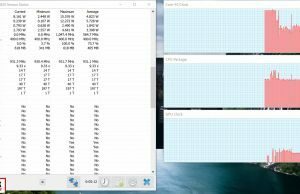 Does anyone know if the iris 540, I-7 6560u model can handle Civilization VI? 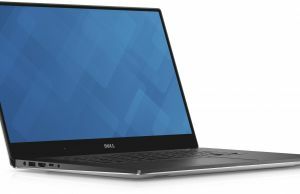 Hi, Derek, I am in the process of deciding a purchase of a light laptop.I was zeroing in on Dell XPS 13, 9350, but with a configuration I can't find… My main work is photography…no gaming, please guide. I would require minimum 2 usb ports , one thunderbolt, memory card reader and a connector for hdmi cable. Thanks for your time. Sorry for the delay – I've been fleeing a hurricane all week. Do you need iris graphics? You mentioned you do but the CPU you are looking for does not have Iris. Only certain CPUs have it. 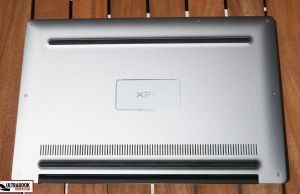 What did the XPS 13 have that you don't like? I need a minimum of 256gb storage…I understand that I heats up…So I thought of sticking to i5. Dell offers that on their website directly. I just saw an i5 version with a 256GB SSD for $1100. 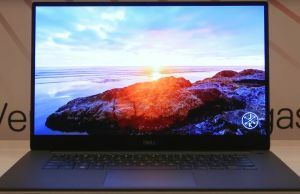 Dell has unveiled the brand-new 2018 XPS 13, and while it might not look particularly different from previous models – the sleek design and infinity display are still present and correct – there’s plenty going on that makes this a major upgrade.